In Norse mythology it´s said that Heimdallr(the warder of Gods, “the one who illuminates the world” etc) will blow his horn when Ragnarök(the final battle of Gods and the Earth) kicks off. Precursor of that event will be three roosters crowing. 2017 is the year of the Fire Rooster. 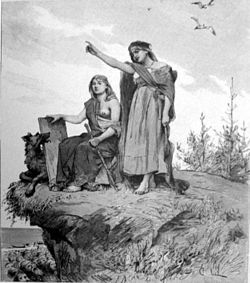 First of all let´s have a look at the deeper meaning of the Norse story of three different Roosters crowing three times just before Ragnarök. The three latest Rooster years have been 1993, 2005 and 2017. We know from many prophecies the focus on Falun Gong as a way to save oneself at the End Of Times. 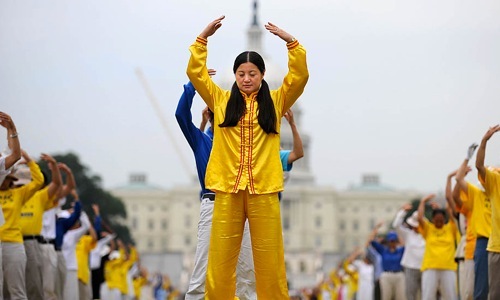 Falun Gong was introduced to the public in 1992 as a new form of Qi Gong to help people reach enlightenment outside of religion by following Truth-Compassion-Tolerance in daily life in addition to doing the exercises to improve the body. 1992 just preceded the first of the three rooster years. 1993 was the year of the “Water Rooster”. Water signifies life and when Falun Gong was introduced many people became healthy in China as this Chinese Health Survey indicates. 2005 was the year of the “Wood Rooster”. Wood signifies yang and expansion. 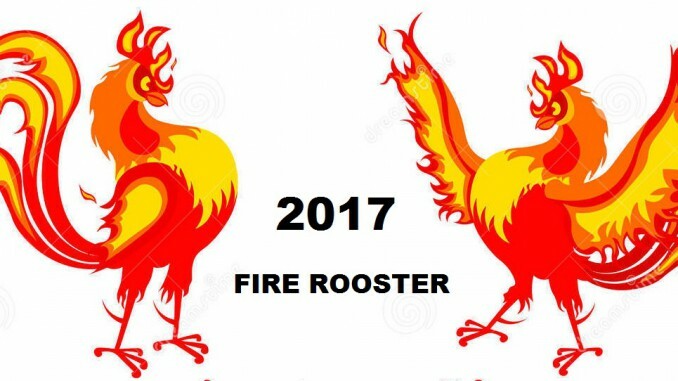 The ”Fire Rooster” came in 2017 and it has a Yin quality although the rooster also has fire. The first Rooster crows to the Giants in the Norse legend of Voluspa. The second Rooster crows to Gods and awakes the heroes. This is interesting as the persecution of Falun Gong started in 1999 and since then Falun Gong practitioners had to oppose the persecution against the formidable propaganda machine of the CCP – many of these people have truly fought like heroes. Furthermore the whole period of 1992-2017 has been a process of letting people learn about the goodness of Falun Dafa cultivation. In the Bible we see the same story about the rooster crowing a final time and then Peter, Jesus disciple, realizes his mistake to deceive his Master. Immediately after the Rooster crows a second time Jesus is taken away by Guards to be interrogated and later crucified. If the story is repeated with Falun Gong it means that now the final Rooster crows and then it´s the last chance for human beings before destruction starts. And just then, the rooster crowed a second time. Then Peter remembered the word Jesus had spoken to him: “Before the rooster crows twice, you will deny Me three times.” And he broke down and wept. The story is repeated but this time it´s about Falun Gong. Jesus was persecuted in the Bible and his follower, Peter, was afraid of being persecuted and deceived his Master after falling asleep in prayer. Isn´t there a parallell in China today? How many Chinese people have been deceived by the CCP propaganda and their lies about Falun Gong?